Welcome back to this week's Tuesday Confessional link party! I loved looking through the posts from last week. 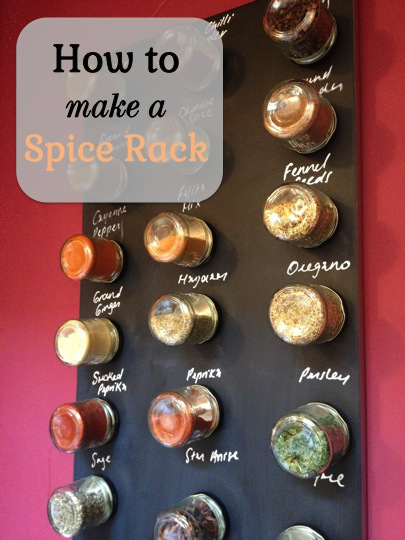 My favorite was the magnetic spice rack from Life In Ryans'. I'm definitely going to have to try that out. I can't wait to see what you guys have come up with this week. Remember to link back here so others can join the fun and follow me on Google Friend Connect or BlogLovin'. The Link Party is currently saying that the "Collection Closed". SO sorry! I had the date of the linkup as 2012 instead of 2013. Pregnancy brain! Thanks for the part Macy! Hope you're having a great week! Thanks so much for hosting this party! It took me WAY too long to come back after linking up...but finally I have, and am enjoying checking out some of these great links. Thanks! How can a single make certain accomplishment, even though? Isn’t that correct in which it’s tough to get rado replica watches inside living understanding that, as much impressive accomplishment testimonies since you can find on the market, you can find twice as several dismaying testimonies in which don’t cost you anything at all? Sure, it really is correct in which negative items take place understanding that several visions regarding accomplishment are usually unlikely. It could not necessarily become smart to covet the particular riches of your movie star or perhaps the particular celebrity of your countrywide number. That is a great unlikely expectation for some, propagated from the mass media, a great cartier replica in which relies upon the particular breathtaking as well as the amazing so that you can promote their particular merchandise. Prior to starting to be able to establish just what accomplishment actually signifies you must decide ones own classification. Just what are you wanting away from living, inside the short-term as well as the fake omega watches targets can be a need to. I really believe inside establishing committed targets which can be inside conjunction together with what you would like in your lifetime. Once you established short-term targets, you might be offering your thoughts a lot more steady reinforcement. You're not emphasizing a single monumental feat each 5 decades, yet tiny targets maybe weekly and even each day. It’s concerning development and also reaching milestones as you go along in your long-term and also hublot replica targets. The harder targets an individual meet, even when they may be comparatively tiny, the higher you may feel about oneself. Enjoy the successes, irrespective of just how tiny, and also forgive oneself to your blunders. That is fake breitling watches tends to make or perhaps smashes self-esteem.